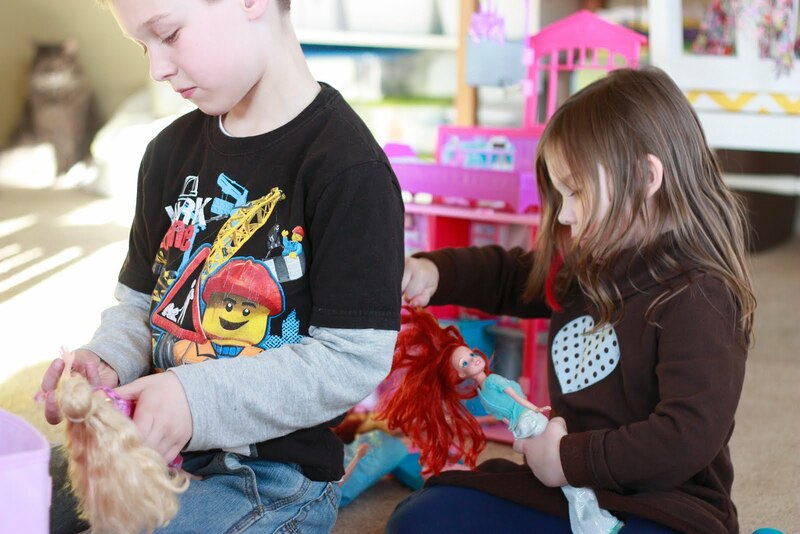 Ava is on the heels of her 4th birthday and is really getting into imaginative play and BARBIES seem to be her toy of choice the last few days....maybe because she can talk her big brother into playing with her (I think it has something to do with barbie eye candy but gross! 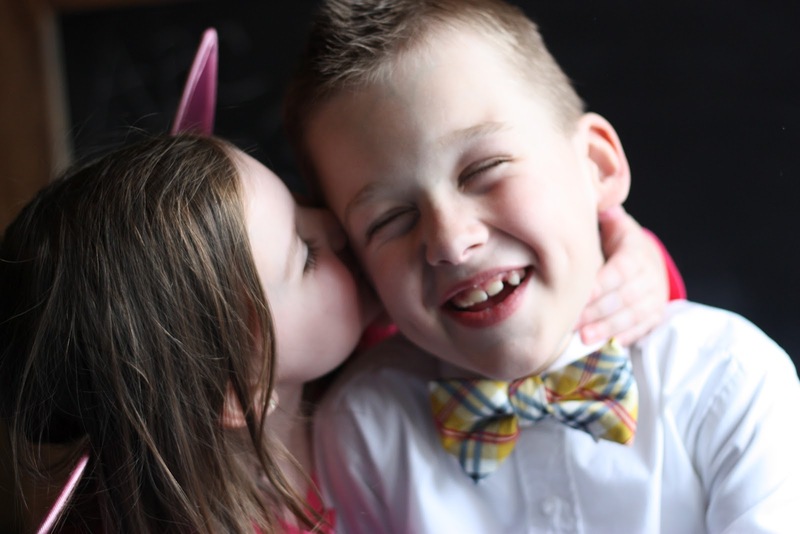 Let's just say he's s super sweet hunk of a brother!) 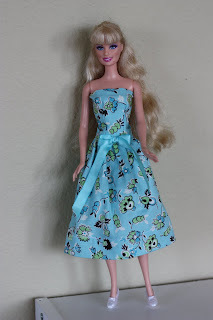 She has a random assortment of barbie stuff all bought by her grandparents :D I decided if she was really into it how hard can it be to make her some non-scandalous dress's turns out NOT thanks to craftiness is not optional's tutorial! She is totally in love with the first dress I made and I see many more in our future. 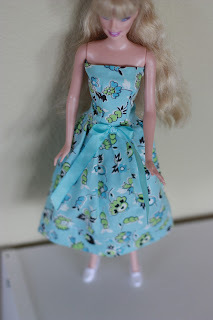 I made a few slight modifications but in general this is a great tutorial and definitely a great way to use up all my scraps of fabric! 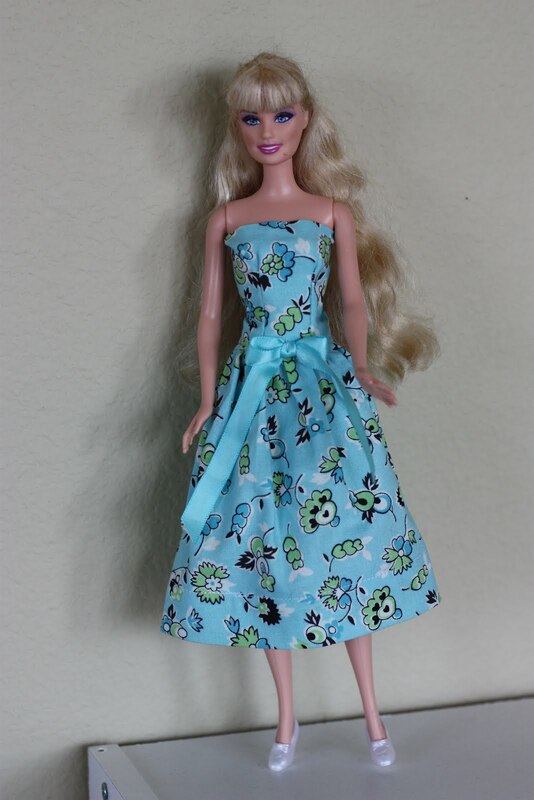 Off to find some shoes today for her random barbie collections to coordinate with all the new dress's we've dreamed up! 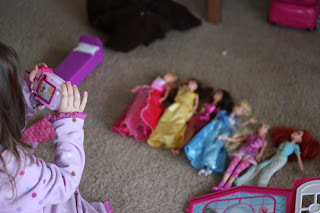 Lining up her barbies - so toddler and taking their picture :O so me! how cute! Glad you liked the tute!